Municipal services in urban British Columbia are a bargain compared to what they would cost on the private market. For less than $2,000 a year, a representative household in Burnaby or Richmond receives police protection, fire protection, street operation and maintenance, sewer and water hookups, orderly development, park maintenance and numerous other benefits. However, the role of municipal government is under-rated — a result, in my view, of often unpopular decision-making processes and poor communication. Public discourse is dominated by complaining, organized and unorganized, about government’s cost and lack of accountability. Electoral upsets over budgeting or management questions are common enough. Three Fraser Valley mayors were turfed in the November 2011 elections. In Maple Ridge, a mayoral challenger with zero background in community affairs tapped a generalized sense of anti-local-government outrage and took 40 per cent of the vote. Governments should see a strong incentive in engaging the public in budget and business planning: not just to save political careers, but to increase the odds that budget decisions have genuine public support, and — most important — to reinforce the reality that groups and interests, and not just politicians, are responsible for how a community operates. Citizens value City services and do not want to see reductions in services. Citizens do not want status quo – they want The City to focus on service priorities and deliver services in a more efficient way. The first phase of the process is about the process. Citizens are asked to help design workshop formats and communications. The process is designed to actively recruit a range of interests, and to solicit input from the interests who don’t show up for live sessions. Live sessions are, in part, an exercise in considering trade-offs as opposed to wish lists. Input is recorded and published, and will be used to inform future budget deliberations and other civic processes. Engagement efforts around municipal budgets in Fraseropolis range from less sophisticated to non-existent. 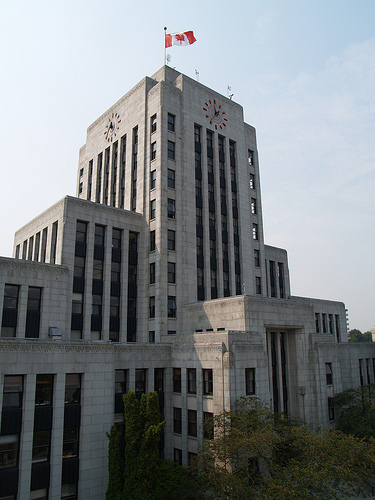 I was pleased to receive a recent e-mail from City of Vancouver Councillor Raymond Louie inviting me to comment on the city’s draft budget, though I haven’t lived there for a couple of years. Vancouver’s tool kit for 2012 includes formal and on-line surveys. Elsewhere, we see either a single open house (Port Coquitlam, West Van) or a council hearing (Surrey, District of North Van.) Langley Township had two open houses this year, and an online comment form. Burnaby had a note on page 21 of its draft financial plan inviting questions or comments. Politicians interact with people in many ways, attending chicken dinners and soccer games and putting a human face on City Hall. 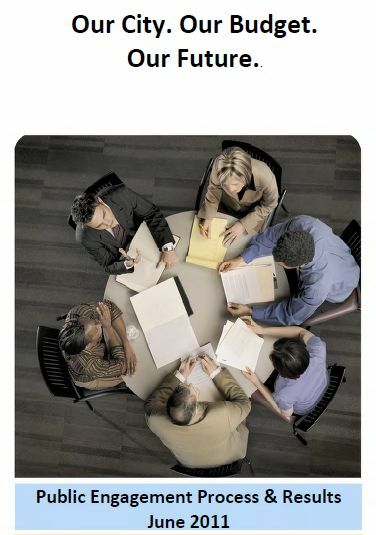 Citizens, or a certain cross-section of citizens, work with local government through issue-specific advisory committees. But the municipal budget stands at a crossroads, where competing or conflicting interests are sorted out. It’s one of two key indicators in a community, along with the official community plan. It testifies as to community priorities and strengths. Through engaging the public in budget deliberations, local governments can look for acceptable ways to innovate and address tough, long-term issues. Alternatively, governments can stick to the announce-and-defend routine; this continues to be the prevailing standard, but it is more politically risky, and it does not create space for innovation. Thanks! It’s really an honour to have people say wonderful things about the work we do at Dialogue Partners. We think its a privilege to work with passionate people to make their communities better, and to represent their voice, needs and perspectives to decision-makers. Thanks for talking about the project. It is people who call for a say, and ask for a voice in their cities and decisions that make things like this happen. Welcome to Fraseropolis, Stephanie. Credit also goes to the Mayor and the folks at the City of Calgary, of course. You’re lucky to have found a client who was willing to open the doors in this way. Every time a process like this is completed with success, it brings the day closer when public deliberation will be seen as normal rather than eccentric. It’s like pushing an old car to get it started; sooner or later, the thing is going to run on its own.